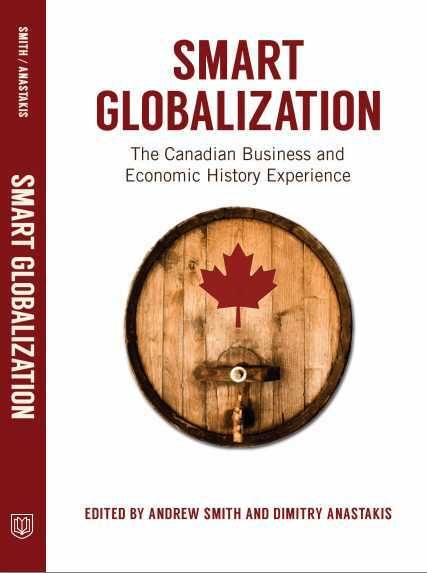 As readers of this blog know, University of Toronto Press will soon release an edited collection on Canadian business history, Smart Globalization. Here is a list of the contributors in alphabetical order. Andrew Dilley is a Senior Lecturer in History at the University of Aberdeen. Andrew Smith is a Lecturer in International Business at the University of Liverpool. Daryl White is an Assistant Professor of History at Grande Prairie Regional College. Dimitry Anastakis is an Associate Professor of History at Trent University. Graham D. Taylor is Professor of History at Trent University. Greig Mordue ‎is General Manager at Toyota Motor Manufacturing Canada. He completed a PhD in Business History at the University of Strathclyde. J.C. Herbert Emery is Professor of Economics at the University of Calgary. Mark Kuhlberg is an Associate Professor of History at Laurentian University/Université Laurentienne. Martin P. Shanahan is Dean of Research at the University of South Australia Business School. Matthew J. Bellamy is an Associate Professor of History at Carleton University. Michael N.A. Hinton is a Partner in Hinton and Co., Montreal and teaches in the Executive MBA program of Concordia University’s John Molson School of Business.